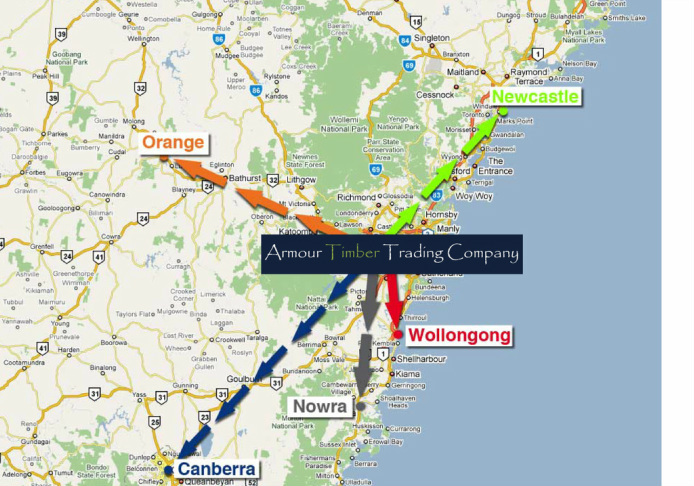 Armour offers personal, express delivery with our fleet of trucks at a price that's right. We arrange delivery through our transport contractors to country areas. 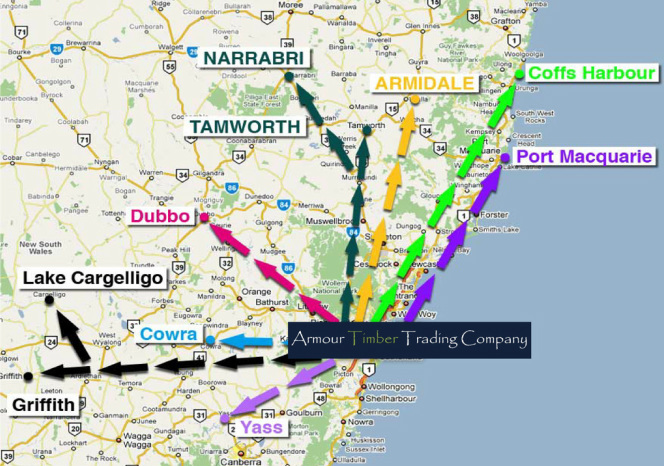 We also offer free delivery to the transport depot located in the Sydney metro area. Please refer to below maps for country areas frequently supplied by Armour.